Since 1880, Richards-Wilcox has been the leading manufacturer of hardware and door accessories for slide, swing, and slide-fold doors used in zoos, aquariums, barns, stables, contemporary buildings and historic buildings too. Commercial, industrial, and residential settings nationwide feature Richards-Wilcox hardware products. 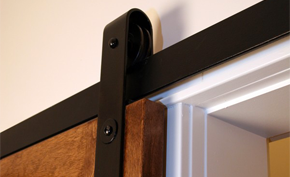 Richards-Wilcox also provides custom design services, partnering with architects and designers to create unique door hardware.